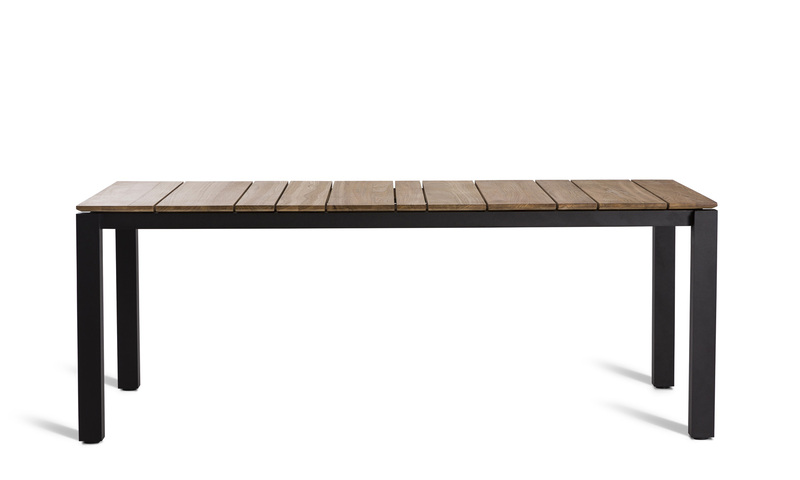 A table system for outdoor use that is characterised by its simplicity of form and its flexibility of size and material. 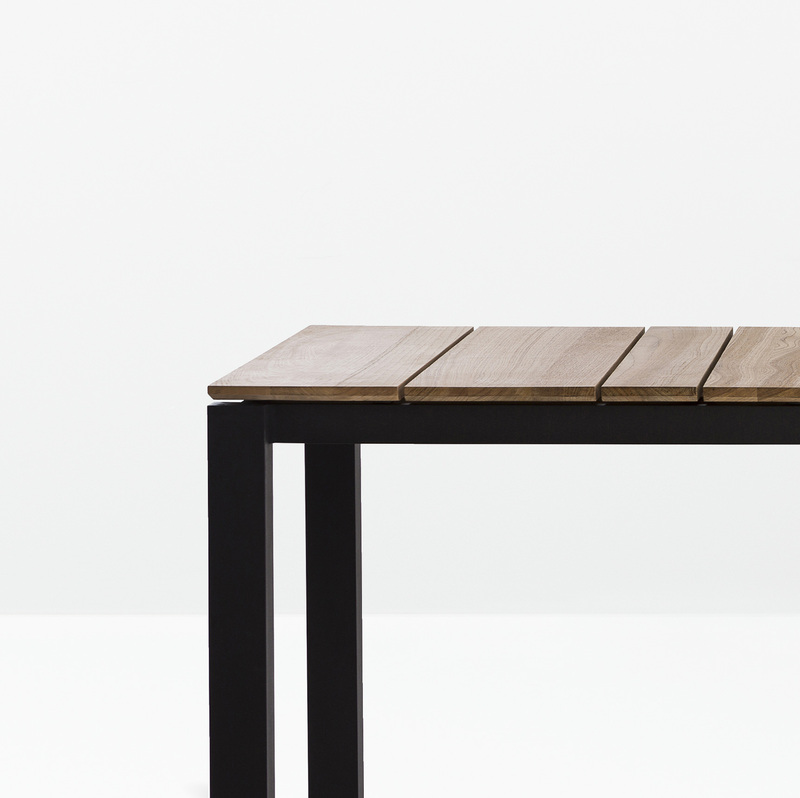 The table, up to 2800 mm long, is also designed be flat-packable for transport efficiency. 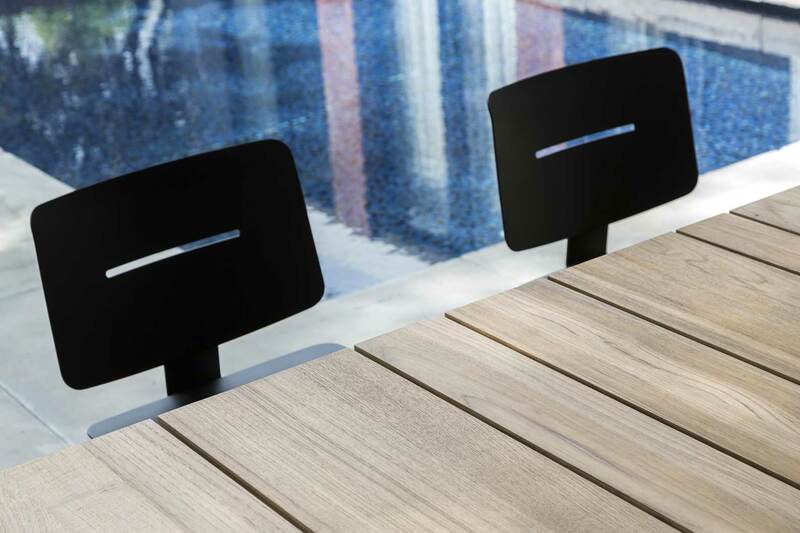 The key table elements, the leg and top, are specifiable in different materials; the leg in either powder coated aluminium or solid teak, and the top in slatted teak, HPL or ceramic. 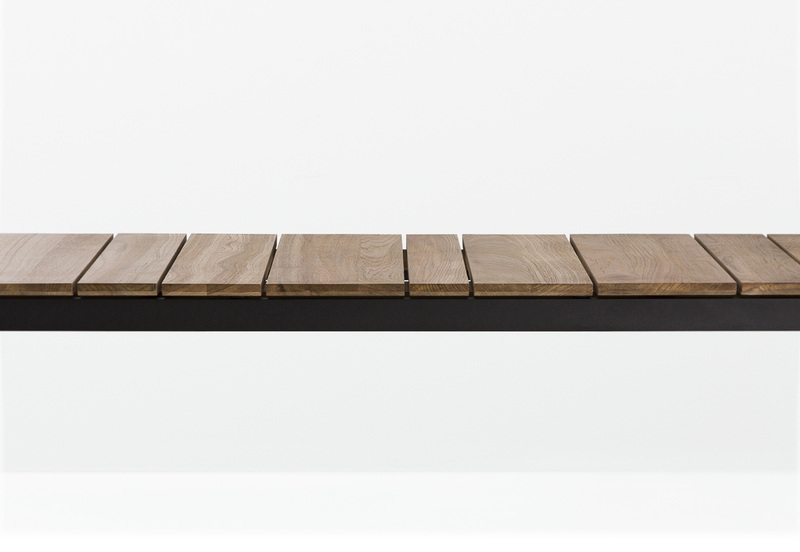 Critically, the integrity of the design is not compromised irrespective of the combination of materials used.